NOTES: Colored and/or underlined words are HTML links. Click on them to see the linked posts/articles. Forwarding this and other posts to relatives and friends, especially those in the homeland, is greatly appreciated). To share, use allsocial media tools: email, blog, Google+, Tumblr,Twitter,Facebook, etc. THANKS!! Read on Scribd mobile apps: iPhone, iPad and Android. The below Soliongco columns were written 40+ years or almost two generations ago; and so far nothing has changed for the better, but actually for the worst. We the few native so-called educated, just like the foreigners or aliens who we have allowed to take over our homeland, can oftentimes take care of ourselves, the rest (native majority) we just say: "Tough luck!" Politics in the Philippines is as involuted as an intra-uterine device, and its purpose, as the experience of the years has shown, is to prevent the conception of ideas or the realization of projects that will benefit the masses. This is why, again, like the operation of the intra-uterine device Philippine politics works in a secret but rather effective way of accomplishing what it is intended for to accomplish. In the eyes of even the most interested foreigner, Philippine politics is one great confusion of ends and means, of principles and personalities, of slogans and resounding rhetoric. It is all that, I admit, but to say that there is no more is to misjudge completely the cunning and ingenuity of the Filipino politician. In better-run societies where the substance of democracy more than its form is zealously guarded and as zealously respected, politics is the way by which politicians react to the needs and tempers of the people. This is the reason for the clearly defined difference between the Whig and Tory parties in England a century back, and between the Labor and Conservative parties today. In the U.S. for all the discussions on the essential common characteristics between the Republican and Democratic parties there are major differences without which there would never have been a Herbert Hoover or a Franklin Delano Roosevelt. Thus, it is not an everyday event in America that a republican Congressman jumps over to the Democratic camp because of his failure to land the G.O.P. nomination in his own district. And certainly, such a phenomenon as a guest candidate is almost, if not totally, unknown. All this is why no foreigner, American or British can write authoritatively on the politics of the Filipinos. Only a Filipino who has lived here all his life can write anything meaningful about so fascinating a subject. He need not be a politician or political scientist. But it is absolutely necessary that he must have some sort of expert knowledge, some intuition, as it were, with which to guide himself in those dark recesses of the politician's mind and soul, there to see and understand the signs of self-interest and the hypocrisy that is used, like an academic solution, to transmute such self-interest into a shining, self-effacing patriotic virtue. It would be fruitless to study the politics of the presidential system of government of the Philippines as a phenomenon isolated from the state of want of the broad masses of Filipinos and from the social and economic elitism of a fortunate few at the time that the Americans began to recognize the necessity of enlarging the autonomy of the natives. Now, one of the outstanding features of the politics of the presidential system is the division of the spoils immediately after the elections. To make the claim that is true only now and not before because of the effectiveness of the civil service is to mouth a piece of aggressive ignorance. For what is nearer the truth is that the Philippines under the Americans or during the Commonwealth or as a supposedly sovereign Republic has never had a civil service as this term is understood in Britain, France and Germany. Thus, the spoils system, in its grossest term, soon developed, in the hands of winning politicians, into an instrument with which to reward jobless and unemployable followers and capture their permanent loyalty. If the rules governing the grant of rewards and promotions and the application of punishment in the Philippine civil service were as rigid as those in Britain, the followers would be given recompense in a form other than employment in the government. What is therefore obvious in the Philippine experience is that an effective civil service is hardly indispensable if the system of government is presidential. This is why to this day in such barren and desecrated regions as the Ilocos and vast portions of Mindanao , politics has acquired the character of a fratricidal war to the death. For what is at stake is not some valid issue which can be subjected to a form of civilized discussion; what is at stake is the very means of livelihood of the miserable Ilokano or Muslim peasant. But the spoils system is not the exclusive monopoly of the camp followers. It is as much the source of privileges and material rewards of those who compose the elite, the rich who literally wager their fortunes on the outcome of the elections. And this, it should be clear to one acquainted with the dynamics of sociology and economics, is the obstacle to progress. Our saving grace of the unrestrained use of the spoils system during the Commonwealth, however, is that there were some Filipino leaders who performed with the style and in accordance with acceptable sets of values. Quezon, for instance, for all his sense of gratitude to his bosom friends, to send one of them, Felipe Buencamino, to New York and there undergo the ordeal of a sojourn in Sing-Sing. Earlier the president of the PNB and his relative were imprisoned for acts which today are considered mere misdemeanors. Whatever the penalties which came in the wake of rank abuse, one can see that the worst aspects of the presidential system suited the weakness and failings, not the strength and impressive potentialities of the Filipino's character. And in no epoch during the short history of Filipino political experiences was this more vividly shown than during the entire period from the inauguration of the republic to the present. The presidential system has become one of our own but let it be said in fairness to the Americans that the Filipino postwar leaders, which means to say, all the Presidents without a saving exception, improved on the model to suit their individual needs and requirements and those of their particular group. 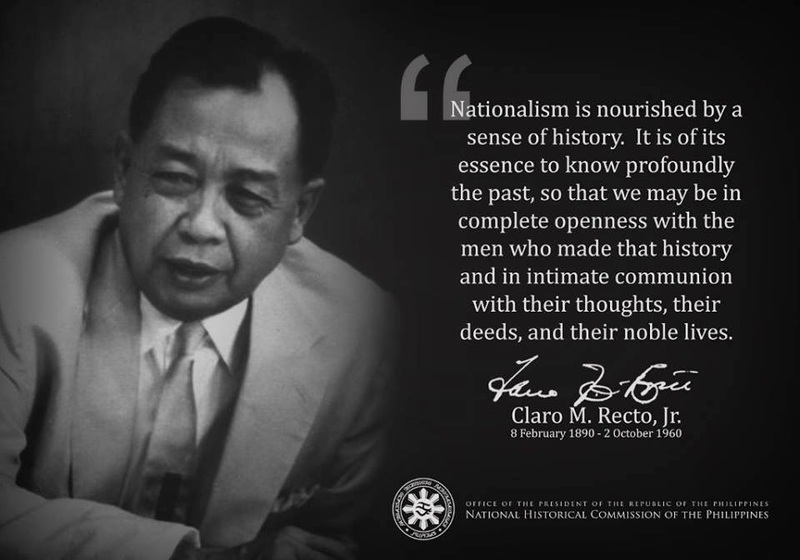 Roxas, utilizing his enormous powers, opened the country for a second but more subtle colonization; Quirino began the practice of placing at the disposal of friendly businessmen and industrialists and using those institutions to force his critics and rivals into line; Magsaysay destroyed what remained of an already shaky civil service and sanctioned the ascendancy of American CIA and military power; Garcia so deeply a captive of his own dictum: "There is nothing wrong in a public official who wants to provide for his future," that his principle of Filipino First degenerated into a Me First ordinance; Macapagal was so confused in his vindictiveness that he dissipated himself during the first two years of his term; and Marcos after bettering the example of his predecessors, distinguished himself by transforming the Philippines into a military society and eroding, perhaps finally and forever, the lower branches of the judicial system. One would ask, "But what was Congress doing all the time?" The so-called separation of powers, so valid in the United States, is one characteristic of the presidential system that was discarded here. And without the check and balance of an alert Congress, a Filipino President easily progresses into a dictator. The fixed presidential term which in the U.S. provides a source of stability for American society was transformed in the Philippines as a safeguard for the abuse of the already awesome powers of the President. For under no circumstances can a Filipino President, whatever the magnitude of his thievery and whatever the degree of his incompetence, he removed before his term is over. The provisions for impeachment are a joke, and Congress, under the present system, will always remain a congregation of rascals subservient to the president. For all the years in which the Filipinos have been exposed to politics, they have failed to learn one elementary but crucial fact about it, and that is, the inextricable connection between politics and political parties. This failure, more than anything else, is responsible for the fragility of our political parties as organizations for the inculcation of political discipline. it can be said, yes, that Philippine political parties have managed to survive. But their survival stems not so much from their popular strength as from the support of politicians with names. Sometimes this support derives from the identity of purposes between the politician and the party; sometimes it is the result of the fact that the party, because of its history and platform, can impart to a political aspirant a certain prestige; and sometimes it is given in exchange for what the party can provide in the way of power and influence. But the great mass of the people are as removed from the affairs of political parties as they are from the mainsprings of government. It is true that there are provincial and town committees which are party organizations and in which the voters are supposed to be represented. But even in these small organizations, the local politician has all but the final say. This is specially so if, to use the common expression, such a politician has delivered the goods - meaning pork and patronage. In national conventions, the same relation of power and authority between the political leader and the masses prevails. The national candidates, particularly the senators, are chosen by the directorate which more often than not, is as expressive of the popular will as an exclusive social club. Theory negates all these. But in so important a matter as political parties, theory has in a way of being misleading and is often the victim of what is factual. And what is factual about Philippine politics is a negation of all the theories about it. But if theory and what is factual ever coincide, then Philippine political parties will truly become popular organizations. They will be preserved more by the adherence and loyalty of the people to them than by the connection of politicians with them. They might even have the tendency toward that cohesiveness and exclusivism which, paradoxical as it may seem, is the natural tendency of all democratic political parties which are meant for the people. It will take years before this tendency becomes the characteristic of Philippine political parties. For one thing, the necessary requirement to this tendency is a political maturity of the highest order. For another, this tendency is only possible where the social well-being is dependent upon the principles and ideas which become substantive only when they are embodied in party platforms. Both politicians and those who observe their behavior are deeply concerned with reports that defections from one party to another in the provinces have attained massive proportions. Their common fear is that unless these defections are held in check in time, the party system and all that it implies will become a thing of the past. consequently, appeals are being made to those who are abandoning or who are about to abandon their party ties to consider the political future of the nation. They are being asked to relegate personal interests and ambitions somewhere in the background in favor of the preservation of the two-party system. No doubt some will heed these appeals. They will hold on to their old party affiliation and participate in the fight for dominance. And, convinced as they are of the necessity of preserving the two-party system, they might even lend a hand to stop the exodus. But it is not wise, we believe, to wager that they will succeed. For the sad truth about Philippine politics that must be admitted is that the understanding and appreciation of the two-party system, particularly in the lower echelons of the political structure, are at least rudimentary. This, however, is not due to the inability of the lower order of politicians to understand and appreciate the democratic value of the two-party system. This us due to the fact that in the Philippines, more so than in any other undeveloped country in this part of the world, politics is practically the only means of livelihood open to the man of more than average talent and ambition. Thus, for themselves as well as for their followers, the politicians of uncertain party identity, completely disregard such notions such as party loyalty and party discipline. Their immediate and perhaps their only concern is to be in power, for to be in power is an insurance of survival. As long, therefore, as political survival is the main consideration and as long as political survival is the condition precedent to the task of earning a living, party loyalty will remain a rhetorical expression. How long this state of things will prevail, is difficult to say. But how to remedy it has been demonstrated in those areas if the country where politics has more or less ceased to be an economic activity. One political myth which the propagandists of Philippine democracy have been carefully nursing is that of all the peoples in Southeast Asia, the Filipinos are the most politically sophisticated. The most flattering commentary simply means that the political acts and decisions of the Filipino of voting age are superior to those of his brothers in other parts that those acts and decisions are formed by a careful deliberation over issues and men. If this commentary were true, the Philippines would be a veritable political paradise, and such spectacles as a former actor of immense beauty and charm standing on the floor of the Senate and discoursing on so esoteric a subject as the fate of South Vietnam would not at all be possible. The grave burden of drafting economic plans and projects would be left in the hands of political economists and foreign policy would be the concern of experts, not of politicians whose worth is measured by the number of peasants they can call their friends. The embarrassing fact, however, is that most of the men and women who hold the floor in this country are hardly intimate with the problems they are supposed to solve. They are in the councils of the state, not because of their background or knowledge but because of their command of the so-called rural vote. This in itself is a negation of the accolade that the Filipino is the most politically sophisticated in Southeast Asia. For the officials and leaders he has chosen are not the most reliable index to his vaunted sophistication. On the contrary, they are a complete negation of that virtue. But easily the invincible proof that the Filipino has yet a thousand miles to go to prove his political sophistication is that it is in the Philippines and not anywhere in Southeast Asia that the delivery of voters by the thousands by political leaders from one party to another on polling days has been raised to the level of an exact science. The news that readers encounter almost everyday during the campaign about ward heelers and politicians in office selling themselves and their followers for a negotiated or dictated fee is the best indication of the sheep-like quality of the Filipino voter. For these transactions are agreed upon by the leaders without so much as a by your leave from the voter whose commodity is on sale. He learns of it only when the word is passed around that he is subject to a new loyalty. He accepts, and to his undying shame, he does so without any sense of discrepancy. Thus it is only in the Philippines where a political leader of some affluence or influence is capable of making the completely undemocratic promise that he can deliver so many number of votes on demand. It is only here that the landlord or the rich provincial merchant can substantiate his fealty to the highest ruler, not only by cash but also by the votes of his tenants or subalterns. Now, it is true that this traffic in votes is not as rampant as it was ten years ago. But there is no denying that pronounced vestiges of it still remain in many regions, particularly in those regions which have not been touched either by economic uplift or by peasant protest. One of the favorite boasts of the Filipinos is that of all the Asians, they are the most politically sophisticated. I do not know how this boast originated and I am not aware of any situation or development in this country which imparts any justification for it. But there are thousands who persist in making the boast, and I suspect that the reason for the persistence is the confusion in the popular mind about the meaning of the phrase political sophistication. Now, I like to believe -and i hope I am correct- that the phrase means the capacity to understand political issues and their implications, not necessarily in the abstract sphere but in the hard practicality of the business of living. To the majority of voters, however, political sophistication is nothing more or less than the ability to establish the proper political connections, or, having already established those connections, the ability to exploit them to the highest amperage. In practical terms, this means participating in a campaign, either as a solicitor of votes or as members of a well-paid ubiquitous goon squad. While the monetary reward of these self-serving political activities are not to be ignored, the coveted prize is employment in the government in any capacity, preferably in a capacity which requires neither mental effort or physical exertion. It is these -- the free meals and the pocket money during the campaign that comes at the end of it -- which makes politics so attractive to Filipinos, the literate as well as the illiterate. And so, what is presented is the deceptive picture of a people who are passionately interested in politics, who even get killed because of politics, but for wrong, immoral and entirely selfish reasons. The first result of this condition is the creation of convenient groups which for want of a better term are labeled political parties. But because these groups are organized merely for the acquisition of votes and for the holding of power and because the consent and loyalty of voters can be had by appealing to the naked needs of the stomach, the spectacle of politicians jumping from one group to another and of otherwise decent citizens going into politics to attain success in business acquires a certain commonness which dulls but does not erase the evil of such a deed. On the other hand, the voters, have been spoiled by the corruption of politicians, descend to the lower levels of business. Their importunities increase and their sense of values become hopelessly welded to their dishonest expectations. their participation and interest in partisan politics rise to new intensities, and the eternal issues of general welfare and security of the future are supplanted by issues which their immediate needs and conveniences dictate. This is why the real problems which retard the progress of this country, problems like the economic and political vassalage which the United States exercises over us, our chronic state of underdevelopment, the almost endemic corruption which erodes the already shaky democratic structure of our government, and the political education of the electorate are still to be solved. Nor is there any possibility that these problems will be solved in the foreseeable future. For politicians, even the least corrupt among them, are essentially pragmatic. And imprisoned in their pragmatism, they are irrevocably convinced that only by attaining public office can they serve whatever principles they profess and only by yielding to the clamor of the voters can they capture the votes that will keep them in office.